Hexham Gaol was ordered to be built in June 1330, making it the oldest purpose-built prison in England. Prisons existed before this, but were generally adapted from buildings originally used for other purposes. A prison in the Middle Ages could be as simple as a set of stocks. Boat trips around Coquet Island. View puffins, arctic terns, common terns, sandwich terns and the rare rosegate tern. These birds are migratory and sightings cannot be guaranteed. Also eider ducks, and seals can be seen plus the base of a lighthouse tower which was built by monks and ruins of a monastery window are visible from the boat. PLAYZONE(Indoor Play Building) OPENING TIMES From pub opening until approximately 9pm. PARTY PACKAGES £4.95 & £5.95 per child. Please ring for further details. CHARGES FREE (adult supervision is required). Welcome to the wonderful county of Northumberland. If you need child friendly ideas where to take the kids, kids days out, or fun things to do with the kids in Northumberland then we can help. We have family pubs with kids play areas, soft play areas, indoor play areas, outdoor play areas, playgrounds, aquariums, castles, stately homes, children's clubs such as Scouts, Cubs, Beavers, Brownies, Guides, youth clubs, activity centres, Air, Sea, Army Cadets. We list children's entertainers in in Northumberland if you are planning a birthday, cinema, theatre, petting zoo, animal farms, children's farms, leisure hire, museum and art gallery, nature areas such as parks, and countryside walks and beaches. We have kids activities related to outdoor pursuits and sports such as swimming, ice skating, ten pin bowling and football centres. We list theme parks and Adventure Parks in Northumberland. If you are looking for zoos with more exotic animals then we have them. 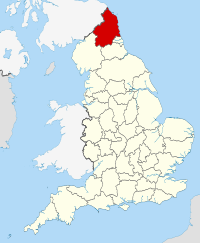 Don't forget to look at the nearby counties of Tyne and wear, County Durham, Scottish Borders, Dunfries and Galloway, and Cumbria to see what they can offer you. We now list seaside towns in Northumberland, so grab your bucket and spade and head for the Northumberland seaside with the kids. We have days out with the kids in Northumberland in and near :- Acklington, Alnham, Alnmouth, Alnwick, Alwinton, Ashington, Bedlington, Berwick upon Tweed, Blyth, Cramlington, Hartley, Hexham, High Buston, Morpeth and Prudhoe.